Join us this evening February 4, 2018 at 6:00 pm CST! Two lives were abruptly stolen from their loving families and their innocent children on August 26th, 2016. The perpetrator remains at large a year and a half later. 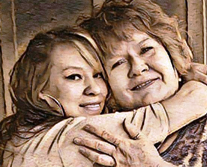 This heart-wrenching story will not be in vain as Kim Merryman, mother of one of the victims, is determined to carry on her daughter Emily’s voice as she lived and flourished, and crusaded through life with zealous determination and passion each and every day. Emily, just 23, and Totinkika Elix 24, were close friends, and on that fateful day; they left this earth under vile and brutal circumstances; a double homicide. Emily exuded enthusiasm and positive energy to her friends and acquaintances; but mostly to her son Payden, as she worked tirelessly to make a better life for him. She was just so close… just so close -to being over the fence on her path. We will discuss the startling statistics about women in Oklahoma and how Kim is pushing through and shining a light wherever she goes and whatever she does. This valiant mother (now guardian of her grandson will share (what she can) about the day she wishes was simply a bad dream She will relive part of the nightmare with our listeners and dangers that her daughter faced many brave and yet some bold decisions-and at the cost of her life. 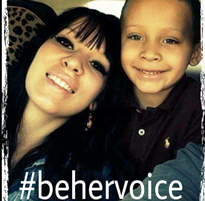 Kim is now dedicated to saving many others as “Be Her Voice” is launched and alive. 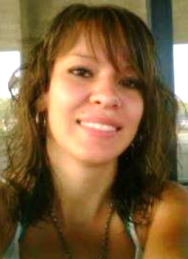 REWARD: Tips & Information about the case; call 800-522-8017 or email tips@osbi.ok.gov. Thank you! This is my daughter. Ready to have justice and to help stop other families from having this pain.